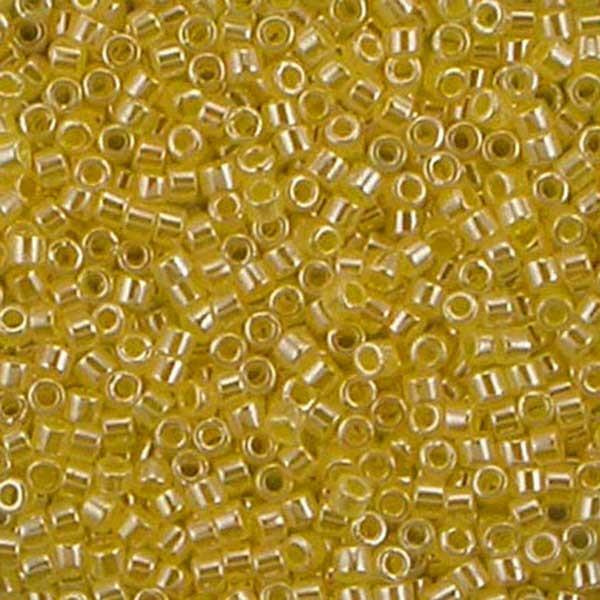 Miyuki Delica 11/0 round (DB) - 5.3g aprox 200 beads per gram.What is a Delica Bead?Delica beads are cylindrical in shape and have very thin walls, as opposed to the rounder, thick-walled seed bead. They line up perfectly in loom and in off-loom stitches such as Brick or Peyote, with the thin walls and large holes allowing for multiple thread passes through each bead. Delicas give curved stitches such as a Spiral or Rosette a more angular shape and lend good definition to Herringbone weave projects.Why use them?Delica beads are an excellent choice in any Loom, Peyote or Brick project because they are so precise. They make any pattern line up perfectly and give a clean, crisp finish to any project. The beads are usually of excellent quality, creating fewer culls when you are working and therefore are cost effective. The color and finish ranges are fantastic to the point that some have become collector's items!Specs of Delica 11/0:Diameter 1.60 mm.Lengh 1.30 mm.Hole 0.80~0.8 mm.Zelikovitz Leathers is a distributor of Japanese Miyuki Delica beads. Contact us for larger quantities of any color or if you don't see the color you are looking for.